When filing a personal injury claim, you need to be very careful about what you say and do. Your words and actions prior to and after filing your claim will be closely scrutinized. Unfortunately, the objective facts don’t always speak for themselves in personal injury cases. The insurance company you’re seeking compensation from will do everything they can to discredit your account of the events. Therefore, you need to do your best to protect your claim. Many people make the mistake of waiting to seek medical care after they’ve been in car or truck accidents because they don’t feel injured. However, you can be injured and not realize it until later, after the shock and adrenaline of the accident have worn off. 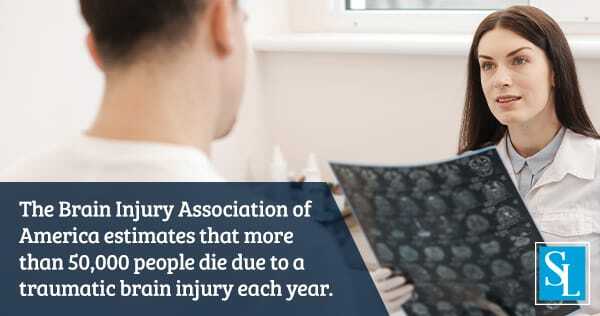 Over 50,000 people die from traumatic brain injuries every year, and not all of those injuries are noticeable immediately. By visiting a doctor right after the accident has taken place, you ensure that all injuries are noted and treated immediately. It also prevents the defending insurance company from claiming that your delay in seeking medical attention caused your injuries to worsen and that they weren’t as severe at the time of the accident. You can unintentionally misrepresent your injuries or the accident itself by giving a statement regarding your injuries prior to seeing a doctor. If your actual injuries differ from your account, your statement might be used to accuse you of submitting false information. Even accidental false information can hurt your personal injury claim. The other party can use it to cast doubt on the claim as a whole and damage your credibility. That said, see a doctor before making any claims about your injuries, and don’t give any statement about your injuries or the accident that could later be construed as false. Need Help Filing a Personal Injury Claim? It can be tricky to file personal injury claims on your own, and you don’t want to make a mistake that could cost you your case. An experienced attorney can not only ensure that your claim is filed correctly, but can also help you to obtain the best possible results. To learn more about filing a personal injury claim, or for information on personal injury settlements, contact the Steigmann Law team today.